A blog that doesn’t mention Brexit is rare but with so many challenges facing the motor insurance broking fraternity I think I can fill this space without leaving our shores. Following the change in the Ogden rate in 2017, resultant changes in claims reserves have really impacted the motor insurance market – some insurers have actually withdrawn from providing cover at all for certain types of risks. Given this, November’s publication of the Justice Select Committee’s pre-legislative scrutiny of the draft clause the Government intend to use to amend the Personal Injury Discount Rate for catastrophic claimant awards is encouraging. This is just one of a number of problems currently ‘taxing’ many BIBA members. And talking of ‘taxing’ problems there was a general sigh of relief in Autumn when the Chancellor decided to give us a breather and not further increase Insurance Premium Tax. We still believe this is an unfair tax and will continue to campaign against it. Could an alternative approach by the Chancellor be more beneficial? We have seen Government policy implemented to remove Stamp Duty for first-time buyers to stimulate the housing market and create a more affordable step on to the housing ladder and a similar approach on IPT could achieve much the same benefit for young motorists. Withdrawal of IPT for drivers aged 17-24 using telematics based could save the average young motorist more than £150 annually without seeing any deterioration in insurers’ loss ratios. In fact, as shown in BIBA’s 2018 Manifesto the approach could create millions in net present value to the Government because of the reduction in death or serious injury accidents over seven years. A win-win situation. Another area affecting motor insurance at the moment is the alarming increase of crime involving motor vehicles. Whether this is crime committed by offenders on mopeds or scooters leaving the police struggling to chase without endangering the lives of pedestrians (and the criminals themselves) or to vehicles being used as weapons by ‘terrorists’, new solutions will need to be applied. Presently Government is not prepared to accept liability for incidents caused by ‘terrorists’ which leaves the unfortunate motor insurance provider to meet the claims. The BIBA Motor committee remains concerned with this situation as do Zurich (see our Manifesto here) and we continue to liaise with Government and Pool Re on this. And of course we must not forget that fraud is also a crime. With motor fraud adding some £50 to every policyholders’ premium, which is why the motor market is pleased to see the progression of the Civil Liability Bill, tackling fraudulent soft tissue injury claims and the Financial Guidance & Claims Bill, brings CMCs into FCA regulation to tackle this issue. 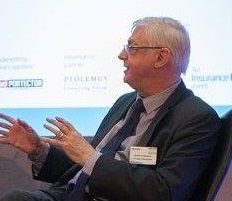 We had been faced with confusion over whether the coming new IPID (Insurance Product Information Document) would be required to be personalised, however in a positive move, called for BIBA, it will be product specific only providing a succinct synopsis of the policy being offered to the customer – effectively an updated version of the Key Facts document. We are also delighted to finally get confirmation of the delay in implementing the IDD to October 2018. Similarly, the obligations of the GDPR (General Data Protection Regulation) to be implemented in May 2018 also requires further clarification to ensure that the rights of the customer and (just as importantly the need of the provider) are adequately catered for with the provision of insurance being a unique data user. Autonomous vehicles are now firmly on the agenda and whilst it may still be some time before the fears of cyber-crime and the potential traffic chaos are overcome it is essential that the question of how and who provides the necessary insurance cover is resolved from the outset. The BIBA preference that the motor insurer provides the cover including cyber, personal injury to the policyholder and product liability ensures that the motorist is fully protected whatever the circumstances leading to a claim may be. Whilst I’ve resisted the temptation to stray into Brexit issues there is one piece of European legislation that will need to be tackled and which may require an amendment to the Road Traffic Act. This, of course, concerns the plight of the Slovenian farmer in the so called ‘Vnuk case. The Department for Transport (DFT)is considering the UK’s response to the obligation brought about to provide a minimum of third party cover in respect of all motorised, wheeled vehicles applying on both private and public places. The likely response awaiting confirmation under the EU Commission ‘REFIT’ programme should clarify the requirement as being on ‘Vehicles designed for use in traffic’, thus avoiding the farce of providing cover for children’s toy cars, dodgems, ride-on mowers and more seriously vehicles engaged in motor racing pursuits. BIBA will also continue with its involvement with the Ministry of Defence in encouraging more insurance firms to be ‘Forces friendly’ through their participation as a member of the Armed Forces Covenant’s Financial Services Steering Group. So just a quiet year ahead then – now what was that about Brexit…?